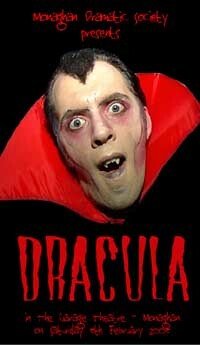 In the small, secluded town of Transylvania, there is an evil lurking ! Count Dracula and his trusted assistant, Boris, are trudging about in search of his latest bride. In his haste however, his desires turn to Sonia, the only daughter of Rosie Glow ! His search is over, but he has more of a challenge ahead of him than he anticipated ! Join Rosie, Sonia, Jack and Fairy Garlic, along with a host of other characters, in there fight against the evil Dracula, to leave there little town a safe place for everyone to live.